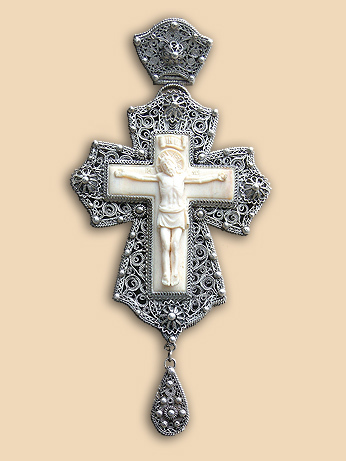 Size: cross 17 cm×8,5 cm. 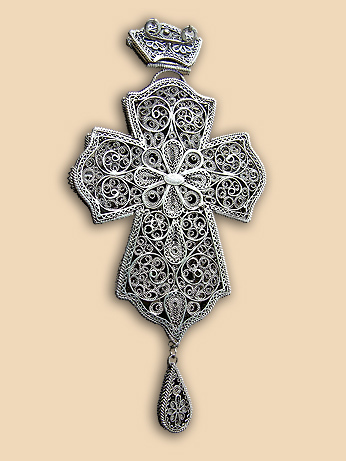 Weight: cross 117 grams, chain 66 grams. Commissioned by: Gift of Priesthood of St. Sava Temple in Kraljevo.